Federal University, Otuoke (FUOTUOKE) Proposed Academic Calendar Schedule for First [1st], Second [2nd] Second Semester, 2018/2019 Academic Session. 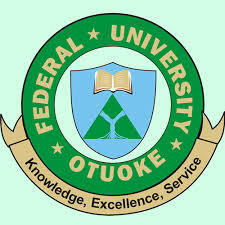 Authorities of the Federal University, Otuoke (FUOTUOKE), has released the approved academic calendar for 2018/2019 academic session. Saturday, February 16th 2019 – Arrival of fresh students. Monday, February 18th 2019 – commencement of registration for fresh students. Saturday, February 23rd 2019 – Arrival of returning students. Monday, February 25th 2019 – Commencement of lectures for fresh and returning students/ registration for returning students. Monday – Wednesday, March 4th – 6 – Orientation ceremony for fresh students. Saturday, March 30th 2019 – Matriculation. Friday May 24th 2019 – End of 1st semester lectures. Monday – Friday, 27th – 31st, May 2019 – Examination preparation week. Monday, June 3rd 2019 – Commencement of 1st semester examination. Friday, June 21st 2019 – End of 1st semester examination. Monday, June 24th 2019 – Commencement of 1st semester break. To be announced – Convocation. Thursday, July 25th 2019 – Senate meets to consider results. Saturday, July 6th 2019 – Arrival of students. Monday, July 8th 2019 – Commencement of lectures. Monday – Friday, August 12th – 16th 2019 – Students’ week. Friday, October 4th 2019 – End of second semester lectures. Monday – Friday, October 7th – 11th 2019 – Examination preparation week. Monday, October 14th 2019 – Commencement of 2nd semester examination. Friday, November 1st 2019 – End of 2nd semester examination. Monday, November 4th 2019 – Commencement of 2nd semester break. Thursday, December 5th 2019 – Senate.